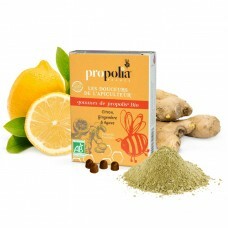 Thickener: Gum Arabic, Pure cane brown sugar, Honey 17%, Purified Propolis extract 6%, Essential Eucalyptus oil (Eucalyptus globulus), Natural mint and menthol flavours. 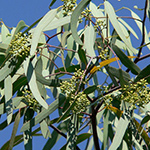 Coating agents: Vegetable oil and Carnauba wax. Avoid giving to children under 3 years old or pregnant women. 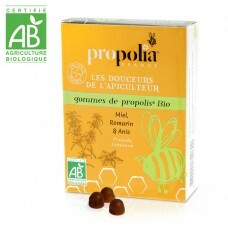 Do not take if allergic to any bee products. Keep in a dry and cool place. This is not a substitute for a balanced diet and a healthy lifestyle. Keep away from young children. Do not exceed the recommended daily amount. 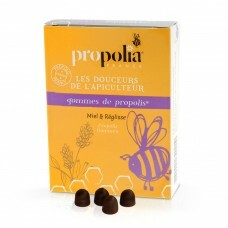 Discover the best of French Propolis in sweet, natural lozenges. 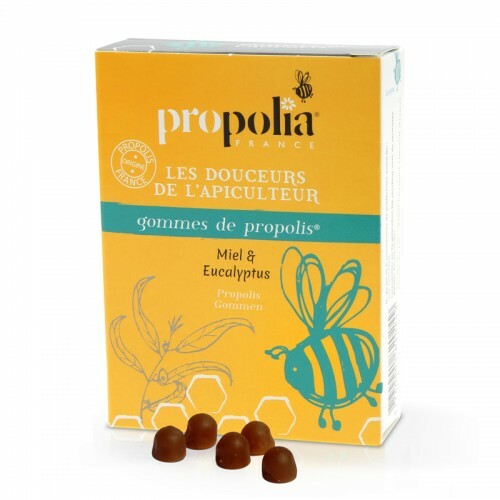 Propolia® has married the recognized qualities of beehive products with the freshness of Eucalyptus to make a real little natural treat that ensures that your breath always stays fresh. LabelsIngredientsThickener: Gum Arabic (thickener), Pure cane brown sugar, Honey 17%, Purified Propo..
Labels IngredientsThickener: Gum Arabic*, Pure cane brown sugar*, Honey *18%, Purif..
Labels IngredientsGum Arabic* (thickener), Agave syrup (Agave tequilana) 47%, Purif..